WOONSOCKET, R.I., and BLOOMFIELD, Conn. — CVS Health and Cigna say they’re ushering in a new health care and drug coverage model with the launch of Cigna Health Works, which joins Cigna-administered health benefits with CVS Pharmacy and MinuteClinic retail pharmacy and health services. CVS and Cigna said Thursday that Cigna Health Works is designed to help patients get the most from their health benefits at their local CVS Pharmacy or MinuteClinic. For example, the solution provides personalized pharmacy support via Health Tag Messages on the prescription bag. The messages, also designed to foster customer engagement, advise patients of needed health actions by the pharmacist or clinician and provide information on available Cigna health and wellness coaching services included in their Cigna plan at no extra cost. Cigna Health Works participants also receive contracted discounts at MinuteClinic for select preventive and acute care services, including biometric screenings for blood pressure, cholesterol and blood sugar and diagnosis and treatment for minor illnesses such as bronchitis, ear infections and strep throat. Members, too, get a CVS ExtraCare Health card that provides a 20% discount on CVS Health brand over-the-counter health products, such as pain relievers, vitamins and digestive health remedies, among others. In addition, the program can be linked with Cigna 90 Now, the health insurer’s 90-day refill offering for maintenance prescriptions, designed to help patients improve their medication adherence while providing cost savings. The companies said the Cigna Health Works health and wellness program has been rolled out to select markets and is available for U.S. Cigna-administered, employer-sponsored medical plans. Cigna noted that Cigna Health Works addresses key health concerns such as lack of a primary care doctor or access to a prediabetic health screening. 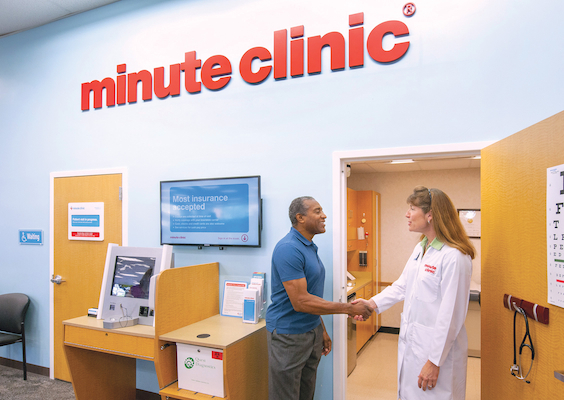 For instance, through Cigna Health Works, MinuteClinic nurse practitioners can offer Cigna plan members immediate access to acute episodic care at discounted rates and low-cost A1C blood sugar testing, while CVS pharmacists can provide affordably priced medications. If Cigna Health Works patients don’t have a primary care physician, MinuteClinic can provide them with a list of Cigna-contracted doctors from their plan’s provider network. And for Cigna members with designated primary care doctor, Cigna Health Works connects to their physician by ensuring that an electronic record of each MinuteClinic visit is sent to their office by the nurse practitioner. “By connecting all constituents in the care continuum, Cigna Health Works is designed to close potential gaps and improve the quality of care our customers receive,” Paige stated. She pointed out that Cigna Health Works also can rein in employer and patient health care costs by providing effective alternatives to urgent care and emergency room visits. 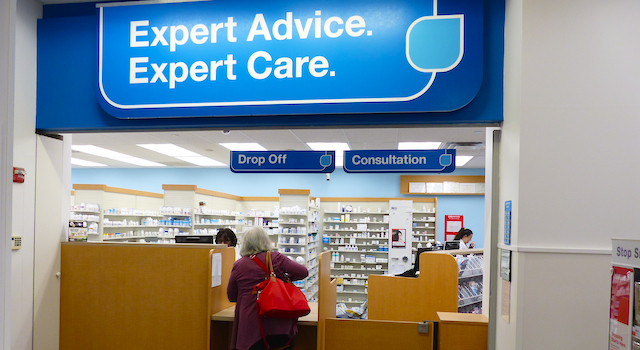 Cigna said about 45% of its members’ urgent care facility visits could have been conducted at retail health clinics, potentially reducing their medical costs by 81% per visit.